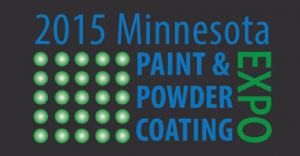 We are excited to be part of the 2015 Minnesota Paint & Powder Coating Expo again this year. The two-day event consists of a symposium and painter training on March 18 and an expo on March 19, both located at Century College in White Beak Lake, MN. IWRC details are included below. In conjunction with the Expo, the IWRC will provide industrial painter training, where trainers will work with attendees to improve finishing techniques on virtual reality spray equipment. Training will cover the fundamentals of spray application and focus on best practices to optimize spray technique to improve productivity, reduce rework and defects, and decrease air emissions. A 4 hour program, you can register for either a morning or afternoon session. Class size limited to 25 per session. The IWRC will also be at the Expo on Thursday. Attendees will have the opportunity to see demonstrations of the VirtualPaint, test out their painting skills on the system, and learn more about IWRC's painter training services. We look forward to seeing you there!